For all of the hard work you do, you need a pair of men's boots that can match your incredible work ethic. The work boots you currently wear to the job site are effective, sure, but your feet feel as if they're being encased by lopsided, heavy boulders. You drag yo ... (see full details) (see specifications) #15435. For all of the hard work you do, you need a pair of men's boots that can match your incredible work ethic. The work boots you currently wear to the job site are effective, sure, but your feet feel as if they're being encased by lopsided, heavy boulders. You drag your feet around to fulfill your workplace duties, but wouldn't you rather have your feet covered in lighter men's footwear? Perhaps, even a pair that's comfortable and strong, too? If that sounds great to you, consider these Danner Men's 15435 Brown 8-Inch Waterproof 400G Insulated EH Loggers. The most important aspect of these Danner insulated loggers is how well they're made. Danner crafted them from with a top-grain, velvet-like Nubuck oiled leather. The leather upper was oiled to provide it with a softer feeling and water-resistant qualities. Because the leather is softer, it can be broken in more easily for a comfortable feel sooner that you would experience in other kinds of logging boots. 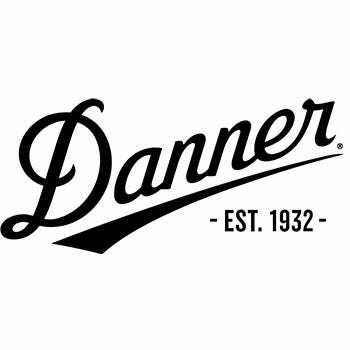 To further ensure liquid resistance, Danner included a 100% waterproof barrier. It's great at letting moisture evaporate out while preventing unwanted wetness from breaking inside the Danner boots. Within these waterproof boots, you can find 400 G Thinsulate Ultra insulation, which can keep your feet warm in cold conditions. The further down into these insulated 8-inch brown boots you go, you'll find an immensely cozy OrthoLite footbed. Beneath the footbed is a Bi-Fit board, which is a combination of a shank, lasting board, and midsole. The combination drastically reduces the weight of the insulated EH boots, making them lighter than traditional loggers. But don't worry - just because they Bi-Fit board combines three elements into one, that doesn't mean this men's footwear is weaker or will offer less support. Danner designed these to be extremely supportive and comfortable. The outsole on these Danner insulated loggers is quite special. The rubber outsole provides superior edging and traction to keep you stable on your feet. The Vibram® 360 Logger outsole meets the safety standards for soft toe boots ASTM F2892-11 EH. The EH stands for electrical hazard, which means these insulated Danner boots surpass the necessary requirements set by the standard to keep you safe from electrical shocks under certain conditions. Overall, these EH 400G insulated boots feature stitchdown construction, which means they were handcrafted to provide you with a wider platform. Plus, it offers increased stability and support for your feet. In total, this Danner footwear only weighs 70 ounces per pair, and each boot is eight inches tall. Their soft-but-strong leather upper comes in the color brown. One reason they're so light is because they lack a safety toe, so if you need a strong, light, and soft boot without the protection of a metallic or composite toe, these EH brown logging boots are for you. These Danner Men's 15435 Brown 8-Inch 400G Insulated EH Loggers from Working Person's Store are lightweight, strong, and ready for work. Get your pair ordered here today! Danner Boots: Men's 15435 Brown Waterproof 8-Inch 400G Insulated EH Loggers is being added to your cart.